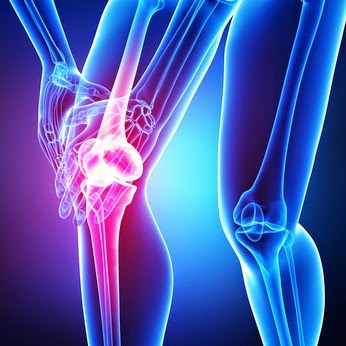 A torn or ruptured ACL (anterior cruciate ligament) is common, traumatic injury to the knee. More than 250,000 ACL repair surgeries are performed each year nationwide, according to the American Association of Orthopaedic Surgeons. Recently, a team of medical researchers at the Robert R. McCormick School of Engineering and Applied Science (at Northwestern University) used nanotechnology (the manipulation of matter on an atomic, molecular, and supramolecular scale) to create a synthetic graft for ACL reconstruction. This new method may one day replace some ACL repairs conducted today. Typical reconstruction involves a bone-patellar tendon-bone graft where a portion of the patellar tendon is cut and used to replace the damaged ACL. Via nanotechnology, the team combined polyester fibers and calcium nanocrystals, similar to those found in human teeth and bones, to make a more durable and flexible material for the graft. The synthetic fiber was tested on an animal model and successfully adhered to the natural bone once it was attached. This groundbreaking marriage between an artificial ligament and bone offers potential for improved ACL repairs, and other surgical applications throughout the body. Long-term evaluation is still needed to determine the effectiveness of synthetic grafts in humans.